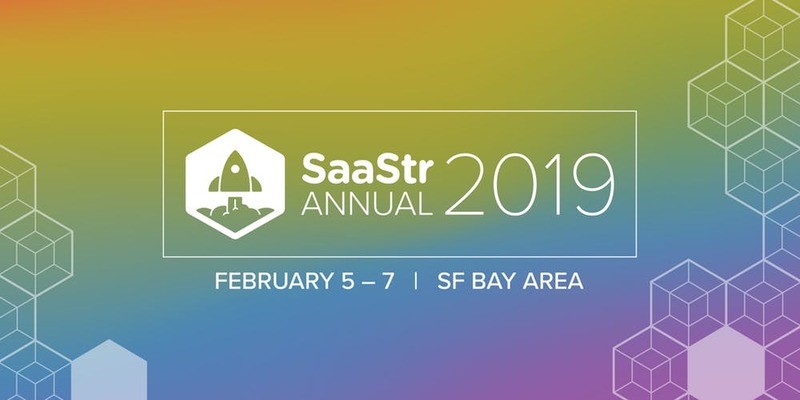 SaaStr Annual 2019: Our picks! SaaStr Annual kicks off Tuesday! The self-proclaimed “largest gathering in the world for B2B software” will feature 3 full days with over 200 conferences and 300 speakers. There will be plenty to learn, and countless connections to be made and kept long-term! But with all these valuable sessions available, how do you choose which ones to attend? We’ve done our homework and identified some absolutely must-attend events. When: 10:00am – 10:30am, Tuesday Feb 5. Two of Slack’s top sales experts take you on an exclusive journey to highlight some of their most fruitful upselling strategies. Hear their take on the keys to building enough value and loyalty to warrant profitable conversions. When: 1:00pm – 1:30pm, Tuesday Feb 5. Engineers with experience at some of the biggest names in tech give their unique insights into the future of SaaS tech. Get a glimpse into what it takes to lead successful engineering teams in today’s industry. When: 3:30pm – 4:00pm, Tuesday Feb 5. When: 4:10pm – 4:40pm, Tuesday Feb 5. Three industry-leading Sales gurus share their tried-and-true methodologies for getting more out of Account Executives. Expect eye-opening thoughts on negotiating terms, closing deals, and more. When: 9:45am – 10:15am, Wednesday Feb 6. Our friends at Salesforce shed light on some of the progressive diversity-minded measures that they’ve successfully implemented. When: 10:30am – 11:00am, Wednesday Feb 6. When: 2:30pm – 3:00pm, Wednesday Feb 6. Before you can convert or upsell potential customers, you need to actually get the leads to begin with. This session features three of the industry’s premiere marketing whizzes sharing their strategies to this crucial first step. When: 8:45am – 9:30am, Thursday Feb 7. When: 1:00pm – 1:30pm, Thursday Feb 7. We’re all working towards company “Growth,” but how do you deal with the problems that arise once you achieve it? As Bryant will expound upon, preparing for success is a critical element of sustaining long-term growth. When: 2:45pm – 3:15pm, Thursday Feb 7. Metrics can only take you so far. But at which point should you trust experience over data? This fundamental SaaS question is the focus of this speaker session. No matter which conferences you attend and which speakers you interact with, the Saastr Annual 2019 is bound to be a boon for your business strategies and future prospects. To take full advantage of all the networking you do, use Evercontact to ensure all the valuable contacts you make find their way directly into your address book. Don’t let this convention simply be a flash in the pan; do your due diligence to foster the relationships you build into long-term partnerships.